News specific to Western Australia. 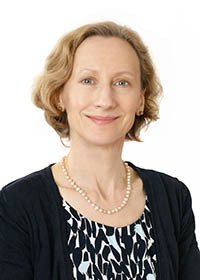 CHIA WA considers that regulation is still required and relevant for the community housing sector in Australia and that WA should be fully joined into a single, nationally consistent, legislated regulatory system so that investors, governments, CHPs, and tenants only have to understand and work within the one system. It is important that the NRSCH review includes consideration of the wider regulatory burden on community housing providers, and the roles played by each component, otherwise there is a risk that important issues – particularly regulatory burden and costs to both providers and government – will not be tackled. CHIA WA’s vision for the future regulation of the sector is a system that gives assurance to government, lenders, tenants, and the wider community about the good governance and financial strength of the sector, whilst being responsive to changes in the sector and the environment it operates in. On 29 March 2019, CHIA WA made a submission to the Review of the Local Government Act, WA, regarding the issue of rates exemptions for land in charitable use. The Local Government Act (the Act) currently provides that all land is rateable unless it is listed as exempt. Land used exclusively for charitable purposes is exempt from rates. All but one of CHIA WA’s members is a registered charity. The meaning of “land used exclusively for charitable purposes” is not defined in the Act. This lack of clarity has not been to the benefit of either community housing providers or local authorities, as much time and resource is lost in contesting whether exemptions are due or not. Whatever the outcome of the review, CHIA WA supports the need for clear definitions setting out when rates exemptions/minimum payments are due to community housing providers and CHIA WA would be happy to assist in working out the detail of those definitions. Such clarity will, hopefully, result in consistency of approach from all local authorities. The current regime is applied differentially across local government, which creates uncertainty for our members. CHIA WA supports a clear and consistent approach to the issue of rates exemptions. CHIA WA’s position is that the loss of rates exemptions for charitable community housing providers will significantly reduce the amount of money available to our members to provide low cost housing and support services to those in most in need in WA. If rates exemptions are lost, other parts of government will need to step in and fund these services or, as is more likely the in the current fiscal climate, these services will be lost. For this reason, CHIA WA seeks the retention of the rates exemption for charitable community housing providers. On 14 February 2019, CHIA WA and Shelter WA made a joint submission providing feedback on Landgate’s Discussion Paper for leasehold strata schemes. The Discussion Paper presents a new and important opportunity for strata development and more importantly the provision of affordable housing options in Western Australia, with potentially wide-reaching opportunities from this new form of strata title. There should be no lower time limit, i.e. 20 years, to leasehold strata schemes and the ability to create short-term leasehold strata schemes should be widened to everyone, not just the Housing Authority or any other government agency. There is no core need for a formula to be included in the regulations, rather there should be flexibility for both lessor and lessee, when putting the scheme together, to negotiate the by-laws when developing the scheme. We support the recommendation for the ‘not to be unreasonably withheld clause’, provided it is very clear that it would be reasonable to withhold if the result would be the property would be lost to affordable housing for the duration of the lease. In terms of disclosure at the time of transacting with a leasehold strata scheme, we strongly recommend information be provided to the buyer to ensure they understand what they are purchasing. Over the past few weeks, a number of Community Housing Providers (CHPs) have contacted CHIA WA and Shelter WA regarding the current re-registration process. In this context, and given that the 30th September deadline is fast approaching for Registered CHPs to transition to the national framework, CHIA WA and Shelter WA consulted with the sector, including contacting all those listed as still registered under the 2007 system, to obtain a sector-wide view of the process. At the outset, we would like to stress that a number of respondents said that their overall experience of the Regulatory team was positive. They reported friendly, timely, and structured feedback and that the Regulatory team had been fair, with flexibility to extend deadlines. Several reported that the process improved considerably with the later addition of experienced staff to the team. For the significant number that continued to find the process difficult, we have set out below the main themes of the feedback received, along with recommendations to address their concerns. 1. Overall, smaller organisations and those organisations for whom housing is only a small part, or not the main focus, of their business (large and small) experienced the most difficulty with the process. The framework is not well suited to complex organisations for which housing is only a small part of their business. In some cases, this has been a deterrent to such organisations registering under the new system. This is a loss to the sector as these are often larger, well financed organisations, with good governance, and it would benefit the whole sector if they became bigger players in housing or serviced a niche market. Similarly, smaller organisations where management of housing, although important, is secondary to their role in support service delivery found that the focus of the assessment tools, particularly the financial ones, was not well suited to their business. The feedback was that assessment of these types of organisations was overly comprehensive across the non-housing parts of the business, whilst not being tailored to reflect that these are non-housing areas. When reviewing the regulatory framework, some thought needs to be given as to how to make the regulation appropriate and proportionate for such organisations. 2. Many found the process cumbersome and time consuming, particularly the financial template which takes a full-time, suitably qualified person, two to four weeks to fill out, depending on the closeness of the organisation’s accounts system to the template. 3. Several CHPs felt that the initial briefings and information did not adequately prepare them for the detail of what was to come. A lot of very specific information requirements only became evident after the process got underway. This created a lot of time pressure which could have been avoided if they had realised the time they would need to allocate to prepare in advance of their allocated timeslot. 4. Many of those going through the process at the end of the financial year reported that the timing was not good. They felt the window allocated to them meant they were being required to stick to a timetable whilst managing their year-end, audit, and AGM processes. Smaller organisations in particular find this very difficult to juggle. 5. Many CHPs are still undecided as to whether it is worth the effort. In this regard, some providers requested a debrief from the Housing Authority regarding the consequences of losing registration and/or the advantages of being registered; and a wider conversation about the intended benefits and outcomes from going through the process. 6. We note that the Contracts side of the HA has given a number of CHPs written assurance that they will take no action regarding temporary loss of registration, provided the CHP is actively going through the process and is registered within 6 months. We appreciate this and trust that this approach will be taken for all CHPs in this situation. 7. There is confusion on the part of some CHPs as to whether this is the national scheme. 8. Two providers felt that the distinction between the three tiers was not nuanced enough and that what was required of a Tier 3 provider was not very different from that required of Tier 1 and 2 providers. 9. There is an appreciation of the need for good governance, but some felt the governance requirements did not reflect the small size and/or regional nature of their organisation and the limitations this places on them. 10. There was some concern that regulation duplicates information required to be provided under the current contract/lease agreements. Whilst we support nationally consistent regulation, which is important to the overall growth of the sector, we remind the Housing Authority of its stated intention, when the NRSCH was first mooted for WA, that there would be less red tape: for example, the Regulator and Contracts would not be asking for similar data in different forms; nor that a financial template would be mandatory but that the same audited accounts provided to ASIC/ACNC would be acceptable. 1. All CHPS who are required to be registered under the terms of their contract(s) with the Housing Authority, are given assurance in writing that the Housing Authority will take no action regarding temporary loss of registration provided they are going through the process and are registered within 6 months. 2. The Housing Authority provides a debrief to the sector re the consequences of losing registration and/or the advantages of being registered. 3. That the pending national review of the financial template reflects the feedback that one size does not fit all and aims to make this requirement less onerous in terms of the format of its delivery. 4. That the timetable provided to individual CHPs for future registration/re-registration, takes into account other statutory reporting obligations CHPs must comply with at certain times of the year. 5. That CHIA WA and Shelter WA are actively included in any forthcoming review of the Regulatory System. Seeing the impact of homelessness on young people in London in the 1980s had a major impact on CHIA’s WA Region Director and CEO of Access Housing, Garry Ellender. Garry worked at a youth refuge and, later, with parolees coming out of prison and people on probation orders who had urgent accommodation needs. ‘It gave me a real interest in housing and an appreciation of the emerging Housing Associations sector in the UK,’ Garry says. Those experiences and his social research background enabled him to gain a research position for an inner city welfare committee back in West Australia that wanted to find solutions to rising homelessness in inner city Perth. ‘It was one of the impacts of the America’s Cup; a lot of the traditional lodging houses had converted to backpackers,’ Garry says. The WA Government backed the call, and provided seed funding to establish the Perth Inner City Housing Association (PICHA) in 1988, with Garry appointed as CEO. ‘We built a housing company based in inner city Northbridge, and took over three large privately-owned boarding houses that were in appalling condition,’ Garry says. Garry left that role in 1993, having built what was, at that time, WA’s largest community housing organisation, with nearly 300 homes under management. He was then contracted to establish a Tenant Participation Program within the Department of Housing before beginning work for the Department, including as a member of the executive strategy team that created a new Community Housing capacity building and growth plan, including asset and management transfers. ‘There was recognition that the standard public housing system models were under serious financial stress,’ Garry says. In 2010, Garry jumped ship and became CEO of Access Housing Australia (AHA). AHA put in an innovative bid in July 2010 to secure nation building asset transfers and won major tranches of 249 title transfers and negotiated a further 300 title transfers through a state program, as well as 500 management lease transfers. Since 2010, Access has grown from about 700 dwellings to 2,100, with turnover up from about $7.5m to $35m in the current financial year. Net assets have increased from $6m to 165m. Looking ahead, Garry says that the community housing sector in WA is facing real challenges. Unlike the Eastern states, the real estate market in West Australia has crashed over the past couple of years with people who would traditionally have been housed in community housing now able to afford private rental. Garry is hopeful that CHIA’s productive relationship with the Labor State Government’s new Housing Minister, Peter Tinley, will encourage a greater focus on a broad and expanding role for the community housing sector. Community Housing Ltd (CHL) has converted a historically-significant West Australian convent into safe, affordable and supported residential accommodation that will be used to assist young women in need. The State Government’s Department of Communities sought CHL’s expertise in providing project and development management services to deliver the facility, which has been funded by a grant from Lotterywest. CHL Chair Fionn Skiotis says, ‘We have been delivering quality affordable housing for over two decades and it is always an honour to be recognised for our project management and design capabilities. The St. Emilie’s Convent facility in the Perth suburb of Kalamunda will be run by The Esther Foundation, an award winning health, development and leadership program. It will provide young women with mid-term accommodation and extensive support services. Esther Foundation Administrator Rodney Lavater says, ‘The St Emilie’s Project provides a much needed resource for young women; young mothers and teenagers aged 13-33 years who would benefit from the safe, structured and supported accommodation program. The refurbished accommodation now includes a total of 20 bedrooms including 18 doubles. Seven of those are new self -contained units, with en-suite and kitchenette, while the existing west wing has been renovated and modified to provide 10 bedrooms, including six with en-suites. The main building has been rebuilt and now hosts a kitchen with training facilities, gymnasium, a large communal dining and living area, counselling rooms and an administration area. Community Housing Housing Ltd (CHL) is helping promote a fundraising campaign to ensure children in a remote Aboriginal community can continue to access early learning, with space issues threatening the current program. Wurreranginy, commonly known as Frog Hollow, is an independent community with a strong council of Gija Elders and community members. The community has worked together for over 30 years to establish an independent, Aboriginal-governed school on their home country, so their families and future generations to come could receive a quality education and live in the nurturing and safe community of Frog Hollow. Both the school and the Early Learning Centre teach with a two-way approach, having both Gija language and English being spoken and taught daily in classrooms, further strengthening the cultural identity of the children and ensuring they are skilled in both worlds. Frog Hollow is thriving, enrollments at the school have increased 350 per cent over the past three years, with 44 students enrolling in 2018. The current Early Learning Program has 13 children aged 0-3 and, until this year, has operated out of an empty classroom, however as student numbers at the school grow, the classroom is now required as a learning space for the primary aged children – leaving the preschoolers with nowhere to go. An Early Learning Centre is vital to engage children from the early years into education, and support their transition to school. Funds raised for an ELC will not only guarantee educational opportunities for preschool aged children, it will also create employment opportunities for community members involved in the build and construction of the facility and for those employed to work in the ELC, as well as providing a safe place for children to stay while their families are working. The Early Years Program has been a dream of the Elders of Frog Hollow who see the importance of education for their children. Until recently, the community has been able to make use of community and school resources to ensure the program can exist, however due to a lack of Government funding to build the ELC, Frog Hollow community are seeking innovative ways to fund this project. To support the cause, students from the school have created an official logo and participated in the making of, and have starred in, a series of videos and photographs which will be housed on the dedicated Facebook page created to raise awareness and keep people up to date with the status of the project. In total of $240,000.00 is being sought to cover the costs of the required materials, the extensive costs in transporting them to the site, and labour. Donations are tax deductible or alternatively, there is an option to instead choose a small gift relative to the value of donation. CHIA WA has appointed Jennie Vartan to their State Manager role. Jennie began her career in the property industry and successfully transitioned to various leadership roles within the NFP sector. She brings with her more than 20 years experience at an Executive Management level, with 11 years in NFP businesses in Perth, including senior roles at Amana Living and Foundation Housing. Jennie possesses a thorough understanding of the current issues facing the Community Housing sector in WA and is committed to working with members and the WA Regional Committee to develop and expand members services. Some of her key focus areas will be sector development and training; communication and stakeholder engagement; policy development and advocacy; revenue diversification – exploring initiatives to secure funding from the State Government to provide sector development and capacity building services for our members. Jennie will officially commence her duties on Monday, June 11.